Derek loves to play basketball and generally loves all sports. He really gets excited and comes alive when interacting with his peers during basketball games. Derek is the typical teen boy who is navigating the transition of high school, girls and acceptance. Derek responds well to a structured home with rules and rewards. He likes to try new things but needs reassurance and direction on how to handle difficult situations. Derek is well-mannered and feels that he can do anything if he tries hard enough. Derek would like others to see and recognize his hard work and growth. Derek is loving, genuine, open and affectionate with adults. He has a great smile, loves to share, and be needed by others. Derek would like guidance from others to support him in his decision making of setting goals for this future. Derek struggles with attaining his educational goals but works very hard and sometimes needs a little motivation and extra assistance. Derek is strong and resilient. Visit me at the Heart Gallery of the North Texas. The ideal family for Derek will give him structure, consistency, and support him in his educational needs. They will follow through with ensuring Derek receives all the supportive services he needs as he transitions into their home. Derek will do best with a family who has a lot of love and patience and who is also honest, true and genuine. The family should communicate and express themselves clearly with Derek. 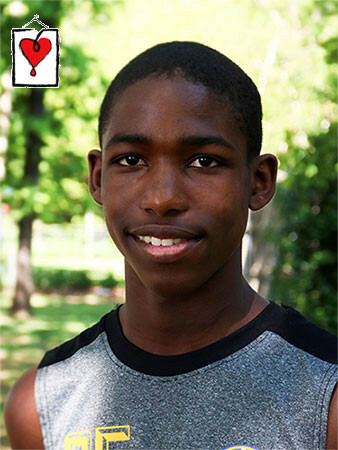 He needs a family who is committed to helping him reach his full potential and gain more confidence. Derek shares a special bond with his twin sister. He has a strong desire to have family contact and to create new family ties to support him throughout his life.